Kenny is a consummate booster of American products. With the family’s 3rd Generation retail chain of stores, Kenny specializes in the finest shoes made in America. While visiting to inquire of his health, he saw me perusing a rack of biking socks. “Made in Vermont. Guaranteed for life”, he quipped. A little pricy? All is relative, Kenny again points out. Earlier this week I chose the hottest, most humid day Philadelphia can offer for R&D. The new socks went on. WOW, Ric’s endorsement is not an exaggeration. Firm fit, like a thousand tiny angels surrounding my feet with love. Into my sneakers and onto the Raleigh. Ten miles later, cooling off, I remembered I was product-testing. Humm … An hour later, at home, I realize how comfortable my feet are. These socks cost more that other bicycling socks I own. With wicking, deceptive body, and comfortably snug fit, I see the value. Add Ric’s guarantee, and we honestly access this product Six Thumbs Up, our highest rating. Editor’s note: I am upon the cusp of sizing. Mediums, sized to 9 ½. Large, Size 10 and up. 9 ½ I am, went with the Large, and they are PERFECT. 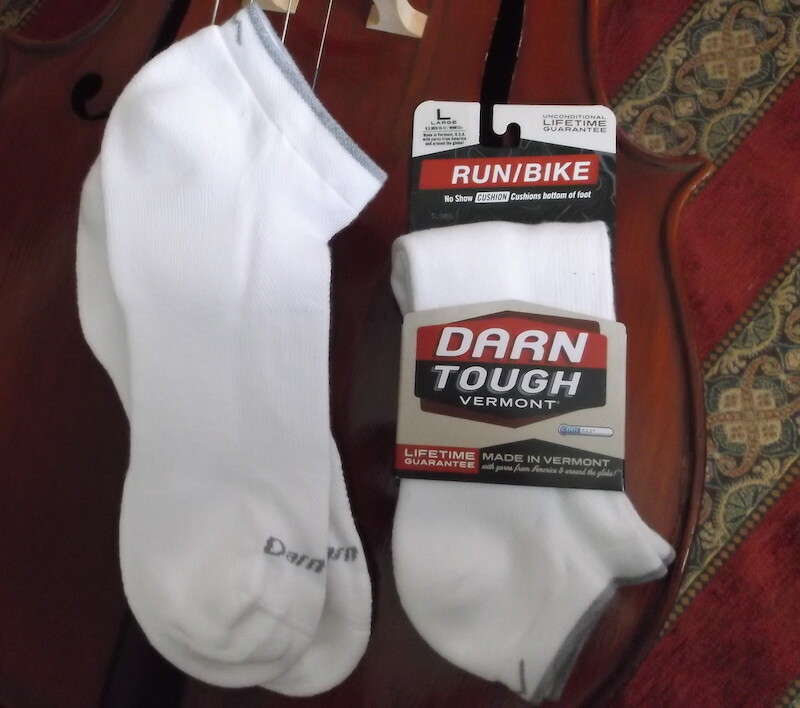 This entry was posted in Product Review and tagged american made shoes, american made socks, darn tough socks sizing, darn tough vermont, kenny sherman, sherman brothers.